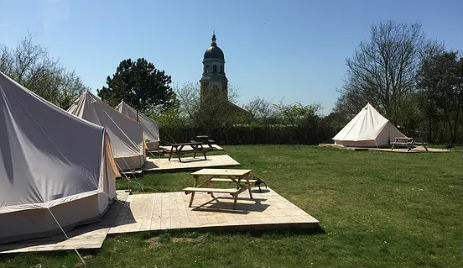 Set in the historic grounds of Royal Victoria Country Park, Hampshire we offer all the fun of camping and turn it into glamping with the luxury of a log-burning stove, carpets and soft mattresses. This bohemian experience boasts male and female facilities, which are cleaned regularly and kept to an excellent standard. There are plenty of family activities for all within the surrounding area. 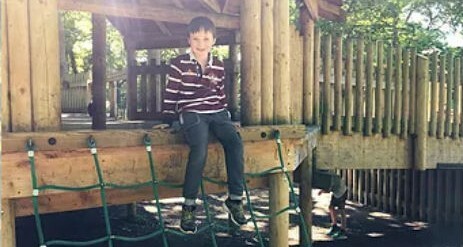 Royal Victoria Country Park has three play areas to ensure that the kids have plenty to entertain them on site. Also, a miniature railway and hundreds of acres of open space and forest for everyone to explore. Netley shore runs along the front of the country park giving beautiful views of Southampton and the Isle of White. A café on site and plenty of restaurants and pubs in the local area mean that good food and good company is never far away. 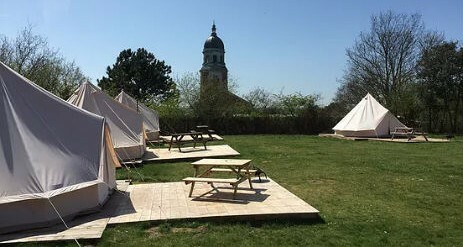 Each tent provides a wood stove for basic cooking and heating on those fresh evenings all year round. 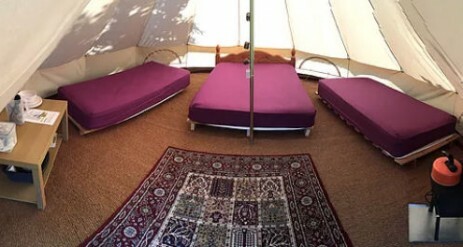 The tents have cosy carpets and raised beds with fitted sheets for your comfort. 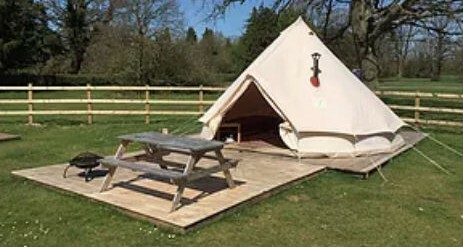 Please remember to bring bedding with you as pillows and duvets are not provided. A small supply of cutlery and crockery including cooking utensils are available for your use during your stay. Soft fairy lights create an ambient romantic atmosphere after dark. 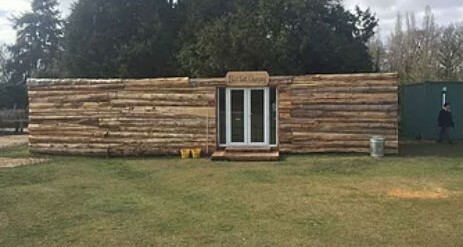 The site has an accessible toilet and shower block. 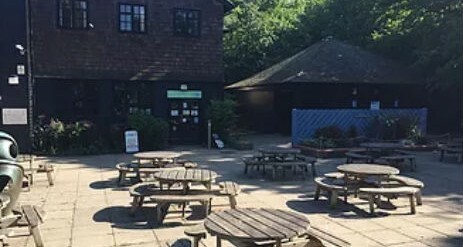 The park is secure overnight and operates a gate, which opens at 9am and closes at 9pm every day so please be aware if you wish to take a trip or intend on leaving early. It is possible to park outside of the country park gate and walk back to camp outside of these hours. Dogs are allowed on a lead within the camping area and children’s play areas, but they are free to run off lead in the rest of the park. YOU MUST PICK UP AFTER YOUR PETS. No noise after 10pm for the comfort of your fellow campers. A £30 charge will be applied for any equipment loss or damage. Royal Victoria Country Park is home to….. The surrounding historical towns of Southampton, Portsmouth and Winchester hold various museums, cathedrals, ancient ruins, and general places of incredible historic significance. This is backed up with zoos, theme parks and an incredibly varied range of outdoor and indoor pursuits. Check out the Royal Victoria Country Park website for more information about the area.